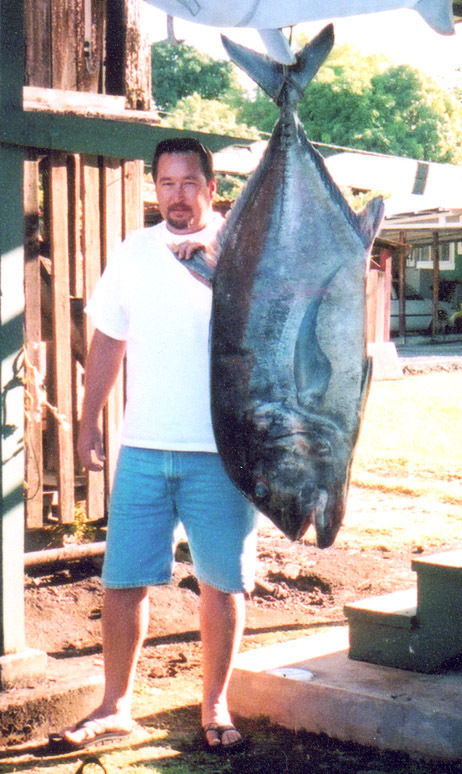 Howard Yoshida not only caught this 103.4-lb ulua, but he did it during the 2004 Pole Benda Shorecasting Tournament! He won the event and put a second 100-plus-lb ulua in the 100-Plus Club at the same time! Howard used a Big Catch pole measuring 12 feet 9 inches, a Newell 550 reel and 80-lb test Ande line to catch this monster. It was a great achievement.